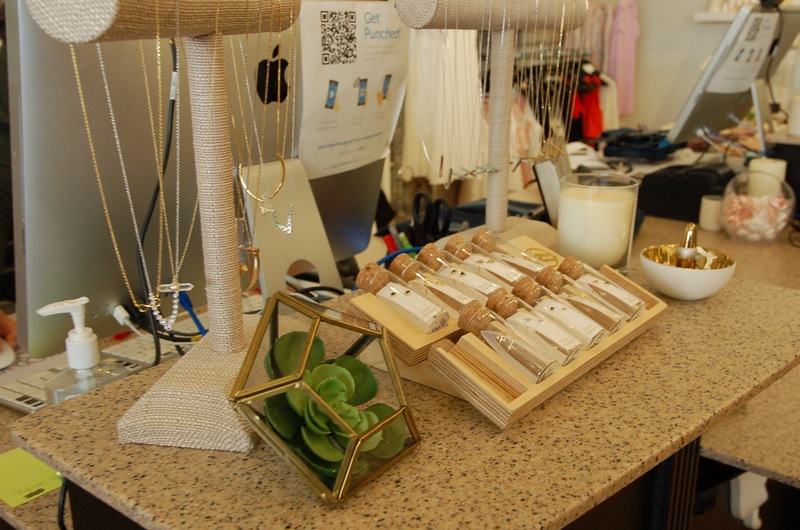 As fashion crazed young women, we are always on the hunt for the latest and greatest small business boutiques hidden around Denver and its surrounding neighborhoods. One in particular stood out due to its cute fashion forward pieces that were ripe for the pickin! This one is not hidden away or hard to find, and in fact, we stumbled inside rather randomly after a brunch with the ladies. We decided to take a stroll and window shop around Southglen in hopes of finding a new treasure. Enter, Apricot Lane. Not only were the mannequins dressed in a trendy yet classy fashion, the store itself felt welcoming accompanied by the staff. They were neither too clingy nor oblivious of your existence. They offered assistance with a fitting room, suggestions on clothing and outfits and ultimately helped me find exactly what I was looking for. Apricot Lane makes sure to buy just enough of an item so it is available in each size, but doesn’t overstock on quantity so you don’t show up to a party wearing the same thing as the girl next door. Because of this and the high demand for their stylish outfits, inventory is quick to change. That means, if you see something you like, be sure to buy if before it’s gone! We just visited the shop this spring and the clothing has already been replaced by the newest off the shoulder shirts and sassy summer dresses. Another great thing about this place is the pricing. How are there so many cute clothes at such a decent price? The boutique is focused on having the latest looks, but not high end. The quality is by far better than the old-school go-to (err, Forever21) but it also aims to please “what’s in right now”. Let’s face it, it doesn’t need to last years if it will be out of style in a few months! 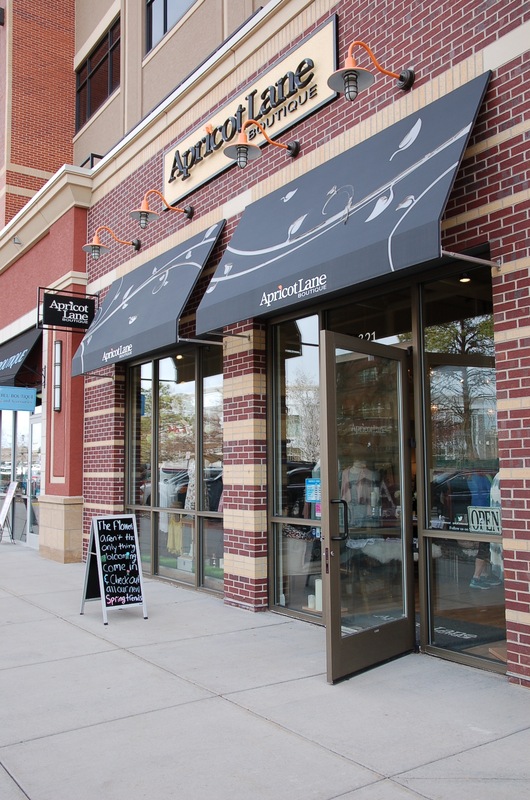 You might be asking yourself, what makes Apricot Lane better than it’s brother boutiques? Denver She Wrote tries to provide you highlights on the most special spots in Colorado, so what makes this place so special in our opinion? That’s easy! The place is run by someone who lives for fashion. Kelsey McCain is the store manager and she makes the experience one you won’t forget. Her focus is making sure inventory is coming in weekly and new looks are always available. She has a background in fashion and design and worked at the well-known Matthew Morris salon helping with style shoots, editorials and standing in as a personal stylist for the Men’s Department. Her personal styling led to more female clients, one in particular name Lenore Gonzales who had a soft spot for Kelsey. Long story short: One thing lead to another, Lenore bought Apricot Lane, chose Kelsey to manage it and here we are with a lovely store packed full of new outfits each week! Kelsey travels to LA often in search of the perfect inventory. She was the ripest pick for this franchise because of her tenacity and vibrant passion for the industry. 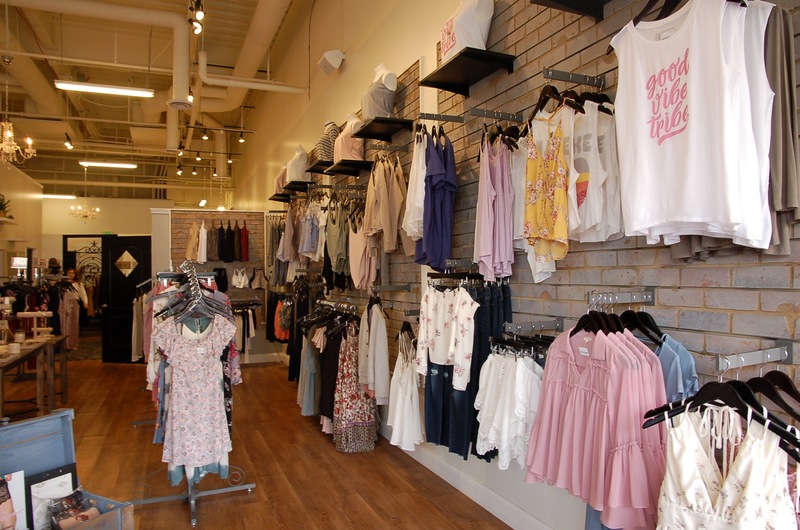 Be sure to visit this store in Southglenn for a shopping experience that stays in the budget, speaks to the latest trends and is providing new looks daily. In the mean time you can also follow Apricot Lane on Facebook for some outfit inspiration and to see what is coming into the store each season!